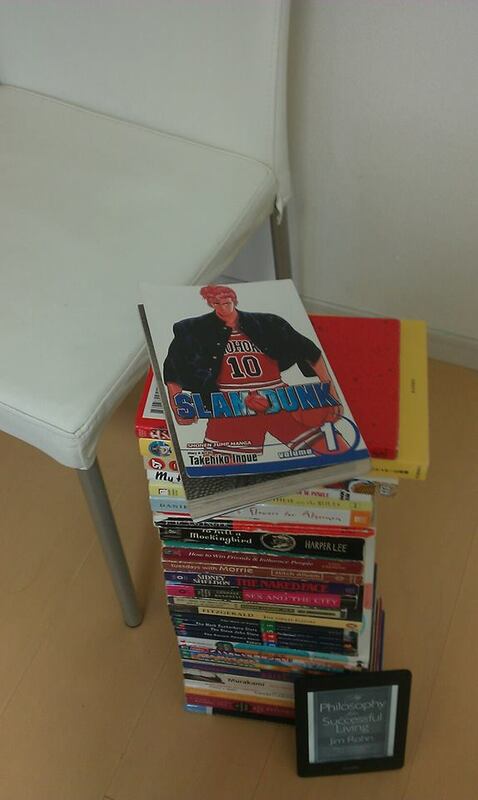 For my 34th English book of the year, I reread the English version of “Slam Dunk” (Vol.1), a hugely popular comic book. This manga is a story of a high school basketball team and the very reason why I started playing basketball. Since I first read Slam Dunk when I was in fifth grade, basketball had been my life itself until I began an affair with English toward the end of my second year in college. My passion for basketball has been rekindled again lately, so I reread it for the first time in a while. After all, what you enjoy reading in Japanese is fun to read in English as well. I guess that’s partly because the translation is superb. I only own a copy of the first volume of the English version, although I read up to Vol.15 before, borrowing them from a friend. But I found out that there are now 30 volumes available. 16 more books to go before I reach my goal of 50, with 13 weeks left this year.